in 1872, showing mountain a way of life. ... showing a mountain way of life. These images were photographed in 1872 at Jasper House and reflects the way of life in the Rockies. Vincent (Basa) Wanyandie and his family still resided at Jasper House in 1872. Basa and his neighbours, the Findlays, Moberlys, Joachims, Thappes and others would hunt and trap in the country to the west and north of Jasper. This area is now known as Willmore Wilderness Park. For more information on the history of the families that have historic ties to Jasper National Park and Willmore Wilderness Park, check out the Mountain Métis website. History reveals that the first Iroquois hunters had come from the East in the 1790s in the employ of the fur trading companies. Once their contract was over, some decided to stay and married local Cree and Métis women. One group settled in the upper Smoky Lake region, just east of Jasper Park, and maintained friendly relations with the local Shuswap. After the last Shuswap died off, the Iroquois expanded their range into the mountain area and remained there until 1910, when Jasper National Park was created and all squatters were evicted. These Iroquois families then moved to the Grande Cache area where many of their descendants remain today. 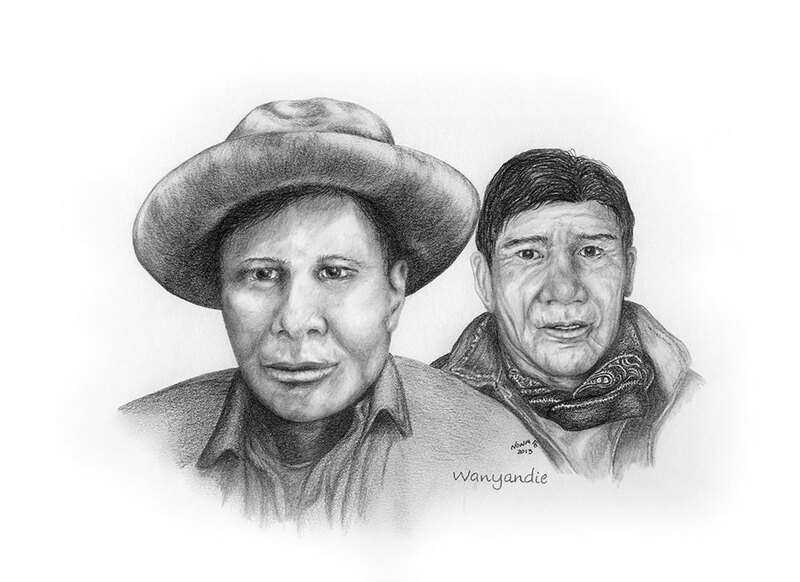 Ignace Wanyandie and Louis Karakuntie were two of the first Iroquois voyageurs that travelled west with the North West Company. Ignace Wanyandie was married to a beautiful Métis woman called Marie Walker. Ignace and Louis were canoe and boatmen paddling up the Athabasca River, eventually settling in the mountains as horsemen and packers. The North West Company records also show that Ignace Wanyandie’s co-workers and voyageurs in the Athabasca District, as early as 1804, included Charles Loyer, Pierre Delorme, Jasper Haws, and Jacques L’Hirondelle. The Company employees included French-Iroquois Métis or mixed-bloods, like legendary Tête Jaune (Yellow Head), and his son and grandson Louis Loyer Sr. and Louis Loyer Jr.
Then there were the Scots-Métis like Jacco Findlay, along with his sons Picinah and James Findlay. They were the sons and grandsons of the former fur trade bosses and worked as independent fur buyers. Jacco, himself, was a fur-trading factor or boss. He and his sons became known as Freemen, who brought vitality and a unique character to the rugged foothills. 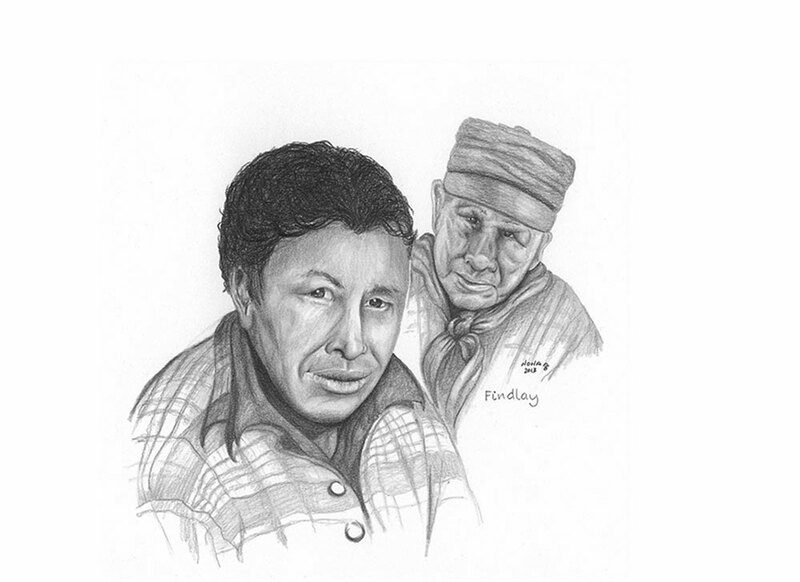 Freemen, known as Otipemisiwak, were “those in charge of themselves:” the first independent businessmen in the Canadian Rockies. They traversed what is now called Jasper National Park, Willmore Wilderness Park, Kakwa Wildland Provincial Park, and the BC Kakwa Provincial Park. James Findlay, pioneer explorer of Saskatchewan in the late 1700s, sired a Métis son called Jacco (Jacques). Jacco became a North West Company employee. He made a mark in history when he, with his wife and children, followed the Blaeberry River and was the first to reach the upper Columbia River on a round trip over the Rockies in 1806. He moved to the Athabasca Valley where his sons James and Picinah continued to work for the Hudson’s bay Company. Today some of Jacco’s descendants live in Grande Cache and Edson. The Willmore Wilderness Foundation Commissioned Nona Foster to create likenesses of the voyageurs. 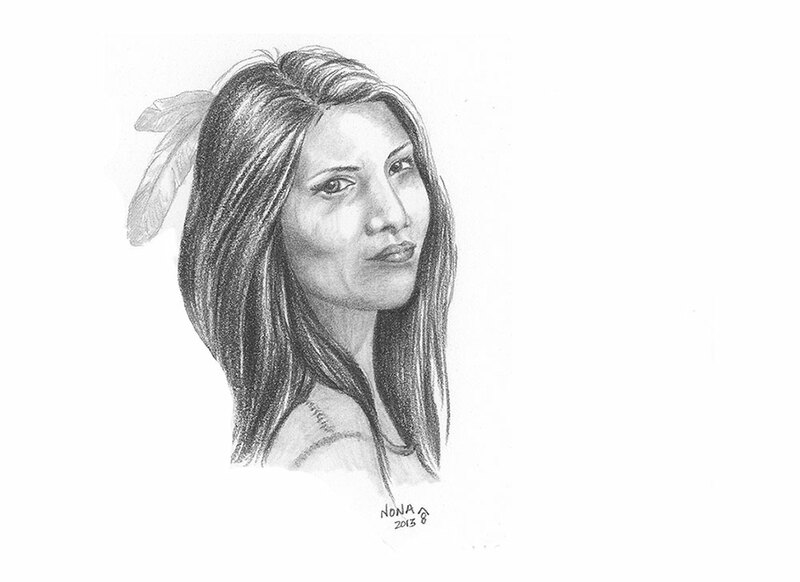 Artist Nona Foster of The Indian Paint Brush created these images from composites of four generations of family likeness based on facial structure. The clothing was based on archival journals and the purchasing habits of these individuals. Records were kept by the North West Company and the Hudson’s Bay Company. Ignace settled in the Athabasca Valley at Jasper House after he arrived in 1804, employed as a voyageur for the North West Company. His son Jean Baptiste was born at Jasper House in 1824. The family lived there, and grandson Vincent (Basa) was born in the same town in 1859. Scrip records show that Vincent (Basa) was still living in Jasper House in 1901 and in 1906 through that year’s Federal Census. The family was forced out of Jasper when It became a National Park. In the Athabasca the three Iroquois took wives of the Sekanaise tribe of the Montagnais Nation. Ignace Wanyandie married a Metis woman by the name of Marie (Sakanise) Walker. Her father was a fur trading Factor and her mother was a Sekanaise woman. Women were not recognized or honoured during this period. The Willmore Wilderness Foundation is doing research to bring these mountain people’s stories to light. Louis Loyer Jr and Louis Loyer Sr worked in Jasper House in the early 1800s. During an interview in 1917, then 93-year-old Louis Loyer Sr claimed that Yellowhead or Tēte Jaune was his grandfather. Louis Loyer Sr was the godfather many of the voyageurs children that were baptized by the Catholic priest.